family in Devara Hospete in Hangal taluk of Haveri district of Karnataka. His parents were Revaiah Venkatapurmath and Siddamma. He lost his eyesight at a very early age.He lost his father when he was 10 months old. His maternal uncle Chandrashekharaiah took him under his wings and raised him. Pandit Puttaraj Gawai (Kannada: ಪುಟ್ಟರಾಜ ಗವಾಯಿ) (3 March 1914 – 17 September 2010) is an Indian musician in the Hindustani classical tradition, a scholar who has authored more than 80 books in Kannada, Sanskrit and Hindi, a music teacher and a social servant. A member of the Gwalior Gharana (school), he is renowned for his ability to play many instruments such as the veena, the tabla, mridangam, violin etc., as well as for his popular renditions of devotional music (bhajans) vachanas.A famous vocalist both in Hindustani and Karnataka Music. He is the recipient of the Padma Bhushan, India's third highest civilian honour, awarded in 2008. Pt Gawai is one of the pioneers of Veereshwara Punyashrama, a music school dedicated to imparting musical knowledge to people who are differentially able-d. Disabled people, especially blind from all castes, religions and sections of the society are thought music in the ashram. Pt. Dr. Puttaraj Kavi Gavaiji has been the pontiff of Shree Veereshwara Punyashrama Since 1944, after the demise of Pt. Panchaxara Gavaiji who founded this Ashrama for the upliftment of the born-blind children and orphans. 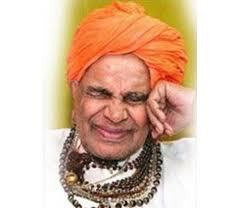 Since its inception in 1942, Shree Veereshwar Punyashrama has been feeding and educating the born-blind and the orphans and the poor children free of cost, without discrimination on the basis of caste and creed. The Ashrama is solely run on the strength of voluntary donations by its devotees. The mission of the Ashrama is selfless service to the community, especially and poorest and the blind. The disciples trained and educated in Music. and Fine Arts have become music teachers, stage-artists, radio-artists, musicians and professionals in the field of arts in thousands. "Pt. Panchaxari Gavi Drama Theatre" organized and founded by Pt. Puttaraj Gaviji has given innumerable performances and has been considered as one of the pioneering feats of Theatre Movement in the North Karnataka. Being solely dedicated to furthering the art of stage drama, this dramatic company has produced thousands of stage artists who have earned national and international fame. Punyashrama has produced thousands of "Kirtanakaras" who are busy delivering Puranas and Pravachanas and Keertanas all over the state. Thus, Shree Veereshwara Punyashrama is rendering valuable services in the field of literature, music, religion, literacy and social service. It is dedicated to the cause of the welfare of the blind and down-trodden for over seventy years in its own humble way. The very secular credentials of this institution has made this Ashrama typical and a class by itself. The Pontiff of Shree Veereshwara Punyashrama, Gadag is viewed by the devotees as a "Walking God on the Earth". Shree Veereshwara Punyashrama of Gadag is a very popular and influential Ashrama in Karnataka. It is a charity institution solely dedicated to the upliftment of the blind, orphans and poor children. More than 1000 children reside in the Ashrama and are fed free of cost. The Ashrama runs Thirteen institutions comprising musical as well as general education. Shree Veereshwara Punyashrama is run on its own strength without any aid from the Government. It has been contributing to the society the talented musicians, radioartists, music teachers, stage - artists and the professionals in the field of music and fine arts. Shree Veereshwara Punyashrama is thoroughtly a secular institution and admits students from all sections of society without discrimination on the basis of caste and creed. The pontiff, Pt. Puttaraj Kavi Gavaiji has been serving out society in different capacities and is a catalyst of social and communal harmony. He richly deserves any coveted prize and honour like "Padma Vibhushan Award". Shree Veershwara Punyashrama (Dr. Pt. Puttaraj Kavi Gaviagalu) is running various Institutions. Pt Gawai has been bestowed with many awards for his contributions to music, literature and social service. Some important awards are listed below. 1961 - President award for "Basava Purana" in Hindi. 1998 - Jnaanayogi by Kannada Sahitya Parishat, Gadag. He died 17 September 2010, at Veereshwara Punyashrama, Gadag, Karnataka.He was buried at the ashram as per the veerashaiva traditions with respectful government honours. More than 10 lakhs devotees attended his funeral ceremony in Gadag on 18 September 2010. The Karnataka state government declared state mourning on Saturday and holiday for government offices as a mark of respect to the multi-faceted personality. 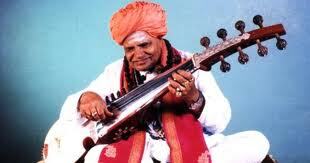 His works include 'Sangeet Shastra Jnana' Tabla Shikshaka and GuruSudha Part volumes 1 and 2 (all books on music). He also penned the 'Shrimat Kumara Geetha', 'Kumareshwara Kavya', 'Shri Linga Sooktha', 'Tatparya Sahit Sri Rudra' and 'Panchakshara Suprabhata' (Sanskrit). In Hindi, he bagged the President's award for 'Basava Purana'. In Kannada, he wrote several books, including Akkamahadevi Purana, Siddeswara Purana, Purathanara Purana Veerabhadreshwara Purana and Sharana Basaveshwara Purana.